Look for “Assigned Trainings” on your UC Learning Center account page, to see what you may need to complete early. UC’s online learning management system, used by staff and faculty for professional development and required trainings, as well as registration for other programs, is scheduled to be offline for nine days, starting at 5 p.m. Friday, July 28, to allow for a system upgrade. Officials said the UC Learning Center, when it comes back online on Monday, Aug. 7, will have a more contemporary interface and will be compatible with all web browsers. Users will not lose any of the data they had in the system prior to the upgrade. Questions or concerns? Send an email to Staff Development and Professional Services. The Staff Diversity Administrative Advisory Committee and Staff Assembly are hosting a Staff Data Workshop, 11:30 a.m. to 4 p.m. Thursday, Aug. 24, for staff to come together to learn how to work with and interpret data related to staff diversity. “Our goal is to empower staff to feel more comfortable working with real university data to inform decision-making and policy,” reads an announcement in Staff Voice. “Using this data, we endeavor to develop a white paper with recommendations to campus leadership related to staff diversity trends. The workshop has been designed with all staff in mind, regardless of comfort level with data, title code or position type. Space is limited; the sign-up form will be available until Friday, July 21. Construction is underway on a set of weirs in the waterway’s eastern half, where water will flow gently over the weirs, down to Lake Spafford. From there, water will be pumped back to the east end, where crews have built a concrete “splash” pad to prevent erosion where the water will pour back into the channel. Read the latest project update. Information and Educational Technology is advising instructors how to access the new smartsite-legacycourses.ucdavis.edu where course materials will be stored for instructor use only after the old learning management system is split in two this Friday (July 14). On campus — Use the campus network. Off campus — Instructors must use a VPN (virtual private network) connection, which will help secure any private information in the archives. Instructors whose departments have VPNs can continue to use those connections, while others can use the VPN service provided by the UC Davis Library. The legacy course sites will live at smartsite-legacycourses.ucdavis.edu for at least the next year. Project sites from the old SmartSite will live temporarily at smartsite.ucdavis.edu. Read more about the SmartSite split. The Board of Regents, meeting today through Wednesday (July 11-13) at UC San Francisco’s Mission Bay campus, has a new chair: George Kieffer, elected by his colleagues to a one-year term that began July 1. See the Board of Regents agenda. Kieffer, who holds a bachelor’s degree in history from UC Santa Barbara and a law degree from UCLA, has been a board member since 2009 and previously served as alumni regent (1978-80). The board elected John A. Pérez, former speaker of the Assembly, as vice chair. This UC news release has more details, plus a list of chairs for the board’s various committees and subcommittees for 2017-18. Also this week, the board will seat its first student advisor, as appointed by a special committee; and consider approving the same committee’s nomination for student regent-designate. Student advisor — Rafael “Rafi” Sands, third-year undergraduate studying business economics and political science at UCLA. This is a nonvoting position, approved by the board last year as another way to bring the student perspective to board deliberations. He has a one-year term ending June 30. Forty-two students from all 10 UC campuses submitted applications in this round to be student regent or student advisor. In accordance with regents policy, the special committee interviewed three finalists for student regent after the UC Student Association interviewed 10 semifinalists. Read the UC news release on Rafi Sands, the student advisor; and Graves, nominated as student regent-designate. UC Davis Health announced last week that an employee’s email account had been breached as the result of a phishing scam, and that the account held information on approximately 15,000 patients. “Though there is no indication that the breach resulted in the actual acquisition of or access to personal or medical information, out of an abundance of caution, the university is notifying patients whose information was stored in the account,” officials said in a July 6 news release. In assisting with informational and event mailings on behalf of UC Davis Health, the account user had received limited information about some patients, including name, address, phone number and, in some cases, medical record number, diagnosis and Social Security number, officials said. For this reason, the health system is providing identity- and credit-protection options to those people whose sensitive personal information was stored on the system, even though there is no indication at this time that their information was viewed or accessed. The investigation, which is ongoing, had so far revealed that the phishing email arrived May 15 and the hacker gained access to the account that day. Two days later, officials said, someone posed as the account’s real user to send emails to other UC Davis Health employees, asking them for large transfers of funds. Health system staff quickly recognized the scam and promptly notified the university’s data security team, which took swift action to secure the account and prevent further threats. Patients desiring additional information may call 855-216-0658 (toll-free). “For a summer school blood drive that’s incredible,” Felicia LeMothe of BloodSource said after the July 28-29 blood drive on the Quad. She said 444 people turned out, and BloodSource collected 307 pints (for various reasons, not everyone who comes can complete the process). A memorial service will be held at 2:30 p.m. Saturday (July 15) at St. Martin’s Episcopal Church, Davis, for Melvin R. “Mel” Ramey, professor emeritus of civil engineering professor who had also served as an assistant track coach and the university’s faculty athletics representative. He died June 27 at the age of 78. A reception in St. Martin’s Fellowship Hall will follow the service. A native of Pittsburgh, Ramey earned his undergraduate degree at Penn State, and master’s degree and Ph.D. in civil engineering at Carnegie Mellon University, then became the second African American member of the UC Davis faculty in 1967. He served chair of the Department of Civil and Environmental Engineering and also held other administrative posts, including associate dean of Graduate Studies. His numerous honors included the Magnar Ronning Award for Teaching Excellence, Black Engineer of the Year and the UC Davis Engineering Alumni Distinguished Teaching Award. 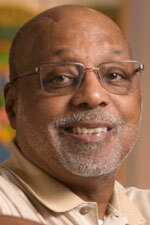 He also earned Carnegie Mellon’s Civil and Environmental Engineering Distinguished Alumni Award. In 2016, his colleagues, friends and former students established a UC Davis endowment in his name, the Melvin R. Ramey Fund for Student Success, and the university further celebrated him by naming the Student Community Center’s lobby after him. The fund supports student support services, and Ramey’s family has asked people thinking of flowers to forego them, and make donations to the Ramey fund instead. Ramey served as the faculty athletics representative from 1997 until his retirement in 2004, representing the campus at various NCAA events and continuing — if not embodying — the athletics department’s commitment to academic integrity. Ramey also stood as an advocate for Title IX, both during its initial implementation in the 1970s and in his tenure as faculty athletics representative. Read more about Mel Ramey in this obituary by Intercollegiate Athletics.